Earlier today, we reported that Prince Harry, Duke of Sussex and member of the British royal family, called for a ban to Fortnite over its addictive nature. 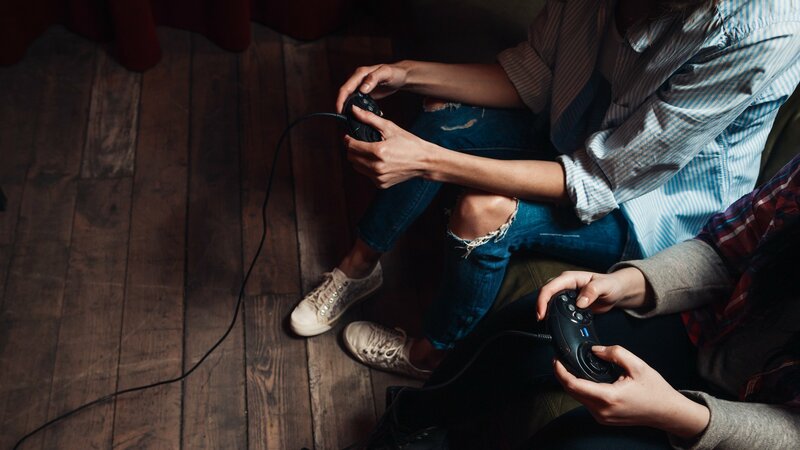 According to him, the game was “created to addict” and said that it was “irresponsible.” These comments were part of a wider discussion surrounding the mental health of young people, and how addictive games and social media are compounding problems and limiting social skills. Gaming addiction is not a new argument. In fact, it seems that anytime some new technology or media comes out, we get plenty of people telling you it’ll “rot your brains,” whether it’s television or rock’n’roll music or video games. The irony that I find in the gaming addiction conversation is the pure hypocrisy. There are plenty of addictive things that have been around for a whole lot longer than games. I’m talking about alcohol and gambling, and while those things may be better age regulated, it’s still notable to say that there are a whole lot of fingers pointing right back at the people making these accusations about video games. Moving into something that’s a little more relatable to video games, how many people binge entire seasons of shows on Netflix in two or three sittings? I remember my own dad basically sitting in front of a TV, watching who knows what mindless sitcom or drama or reality show. I’m fairly certain TV still plays a role in his daily life. He’s not lazy, mind you. He gets a lot of housework and yardwork done, but he also just watches an inordinate amount of cable television. And yet, games are the problem? Now, I’m no psychologist and this isn’t official research, but I’d argue that games do a lot of good. There’s the hand-eye coordination and dexterity required. There’s critical problem solving and decision making. And there’s a social aspect there for a lot of people. Yes, games can get toxic online, but I’m focusing on the good right now, and toxicity in online gaming is a whole other chapter of this conversation. For me personally, playing a game like Destiny affords me the opportunity to hang out with my friends, some of whom live far away from me. Games don’t decrease or taint my social interactions. They actually give me stronger connections than I would have otherwise. Those with addictive personalities will find something to latch onto. Though gaming itself may create a problem, and it’s definitely not good for kids to be heading to school bleary-eyed because they spent a fortnight playing Fortnite, there’s a lot else at play here. 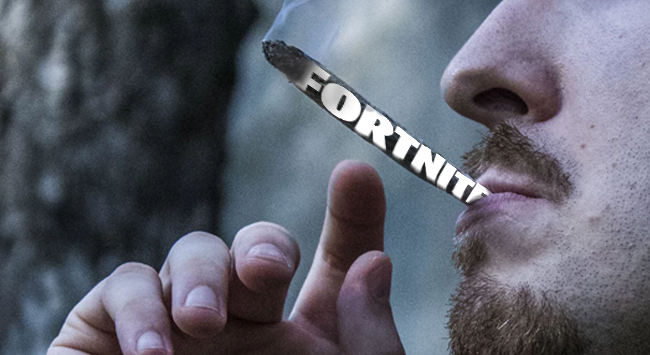 Epic Games didn’t make Fortnite to be addicting in a mustache-twirling “let’s get everyone smoking these cancer sticks” type of way. They simply made a fun experience that people are connecting with. There’s certainly a profit-driven motivation at some level, but it’s not at the same extent that other industries like smoking or gambling (or even illegal drugs) are specifically targeting an addictive nature in order to drive revenue. Instead, gaming addiction should be talked about as general addiction. It’s a symptom of a deeper issue, and this is not a gaming discussion, but a mental health discussion. I think that’s where many people have a hard time with Prince Harry’s words. He’s got a nugget of truth, and he’s latched onto a very real problem, but his sweeping solution is to call Fortnite and games like it “irresponsible” and say they shouldn’t be allowed. How about instead of blaming it on the alcohol games themselves, we take a closer look at what’s causing the addictive behavior in young people? How about using this opportunity to educate and teach, helping them learn better time management skills, helping them to be stronger individuals who can say no and step away from something? How about recognizing that a lot of time spent playing games does not equal an unhealthy addiction, and focusing on the cases where addiction truly is a problem? If we base everything on sweeping generalizations, then we’re going to miss the real issues in favor of ridiculous solutions to non-existent problems. 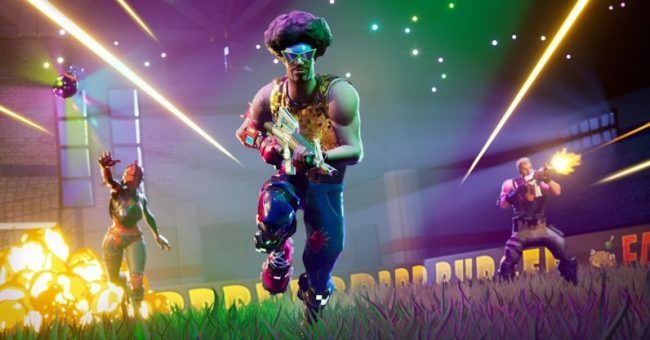 There are very real concerns surrounding how much technology, social media, the internet, computers, and video games have taken over our lives, but that problem is not Fortnite, not specifically anyway. In fact, one person who plays a couple hours of Fortnite a day could have no problems, while somebody else who plays it a couple hours a week has a lot of problems. If we’re going to conflate time spent playing games with gaming addiction, well then, uh-oh. A lot of us apparently have a problem. When then does a hobby become an addiction? What’s the boundary for when something good goes to being something bad? That’s the conversation we should be having, on an individual level. Outside of the more clear issues like loot boxes, it’s not the gaming industry’s job to regulate itself over how “addicted” players get to their game. That guy that hit level 99 in Kingdom Hearts III’s opening world, is he addicted? People who have thousands of hours in Destiny 2, are they addicted? My wife kicks back and plays a couple hours of Overwatch almost every single night, so is she an addict? Does she have a problem? Should Overwatch “not be allowed” because she’s playing it a lot? Not at all. She has great time management. We get stuff done around the house. We take care of our animals. And she’s great about regulating and making sure she goes to bed on time to get enough sleep for the next day. Gaming is just what we prefer to do with our time. A hobby that takes up a lot of time is not addiction.